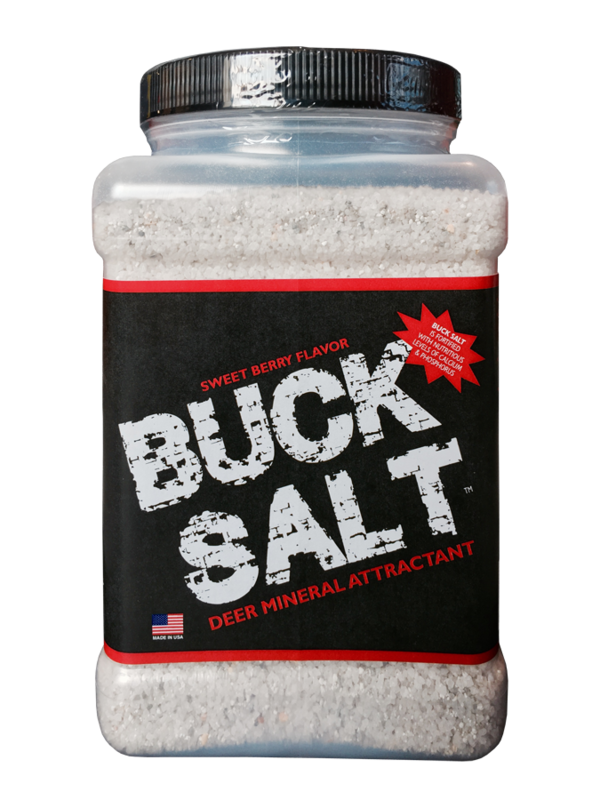 View cart “Buck Salt” has been added to your cart. Gear4Deer - Dr. Deer Approved! 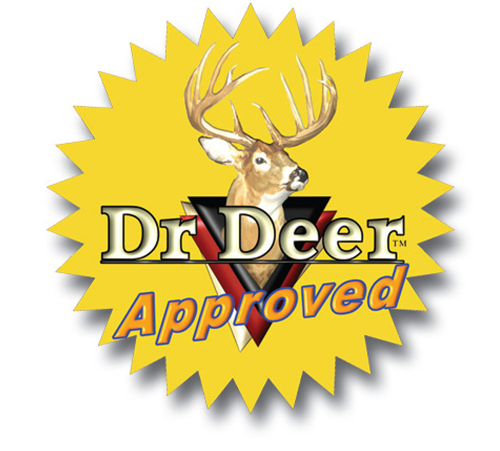 All of Gear4Deer Attractants are made with Dr. 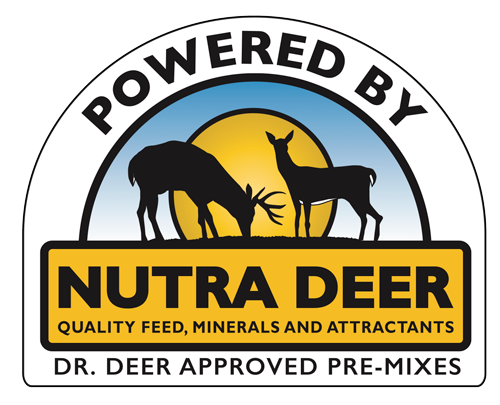 Deer Tested and Approved Pre-Mixes. 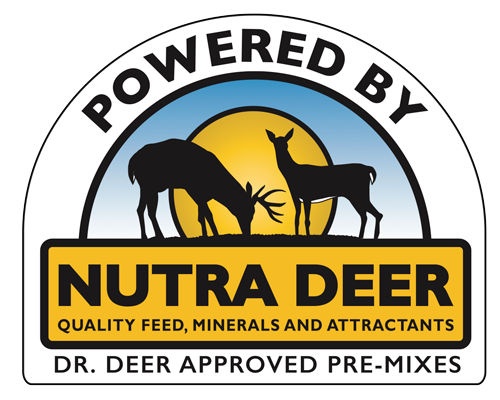 These pre-mixes have been found to be Nutritionally Beneficial and highly attractive to White-Tailed Deer. This landmark research study as performed by Dr. James C. Kroll (Dr. Deer) at the Institute for White-Tailed Deer Management and Research. To view the entire research report and its findings click here. Deer treats are easy to use, highly attractive and more nutritious then plain corn. 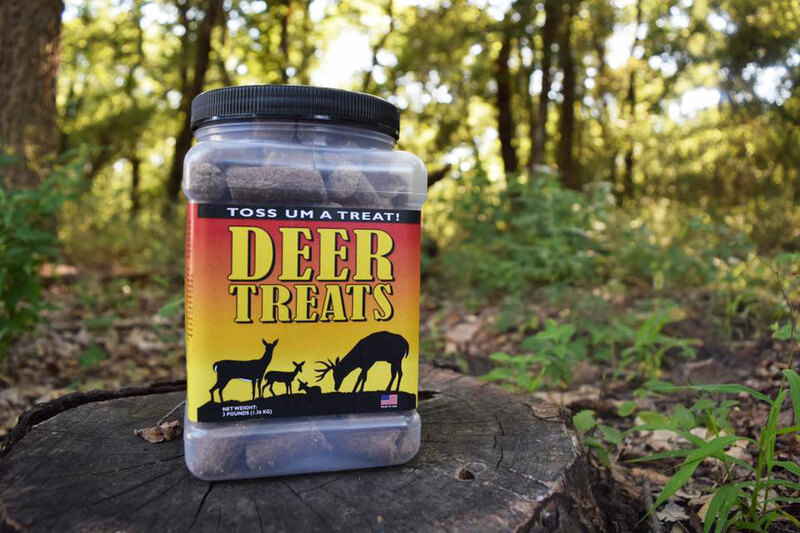 DEER TREATS are manufactured to very high animal feed specifications that include attractive grain ingredients and a SWEET BERRY flavor/aroma that deer will find fast and devour . Great for hunters that want to toss out a few tasty treats when they are in their stands! Natural brown color make the DEER TREATS hard to see. Get 'em Headed Your Direction! Deer Chum is easy to use, highly attractive and more nutritious then plain corn. 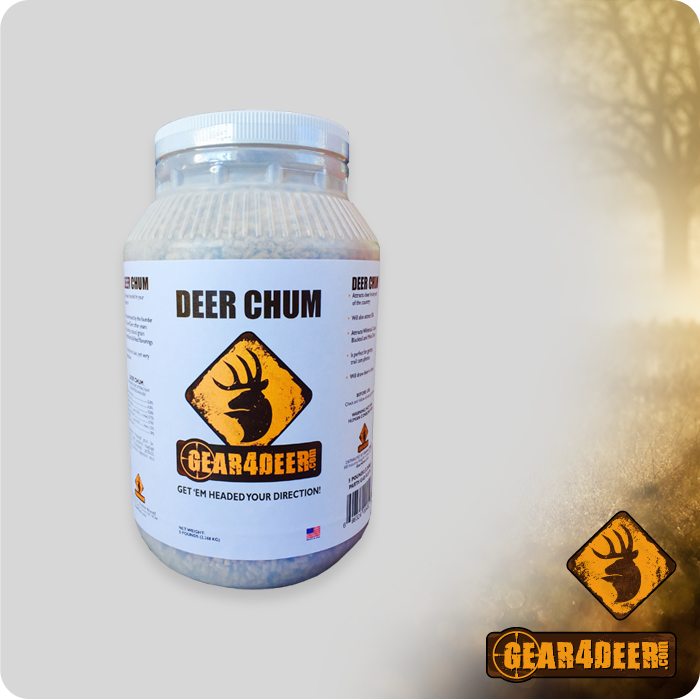 DEER CHUM is manufactured to very high animal feed specifications that include attractive grain ingredients and a SWEET BERRY flavor/aroma that deer will find fast and devour quickly. 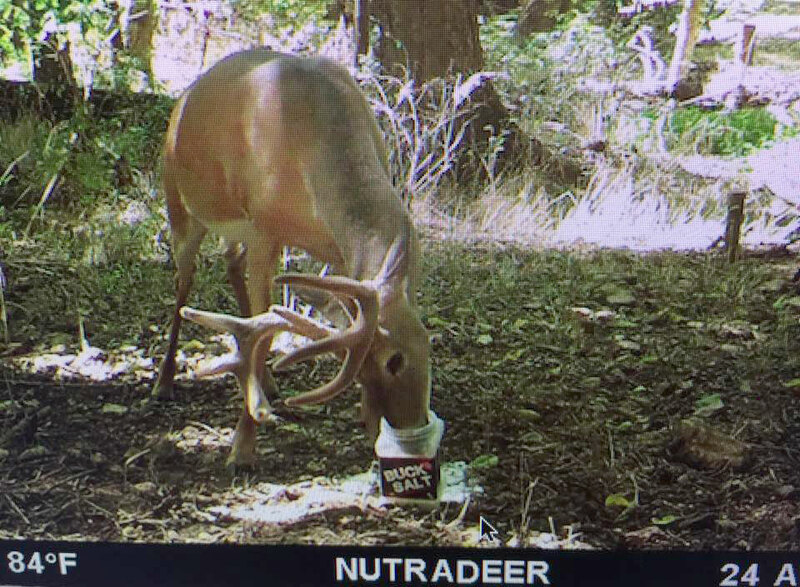 Hunters love how fast deer find and eat DEER CHUM. If you are limited on time and need something to attract deer fast DEER CHUM is the answer! BUCK SALT™ Can be used year around to attract Whitetail Deer, Mule Deer, Elk, or Antelope. Continued use of BUCK SALT™ can be habit forming. 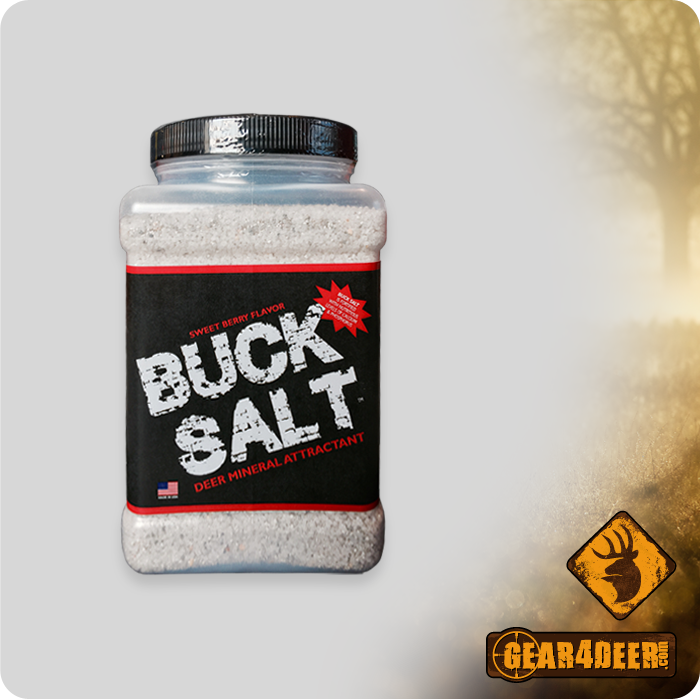 Buck Salt is manufactured with a big helping of sweet berry flavor! Deer find it fast! Buck salt includes added levels of highly nutritious calcium and phosphorus that deer need. Buck Salt can be used as a deer attractant or fed year around as a nutritious salt, calcium and phosphorus supplement. 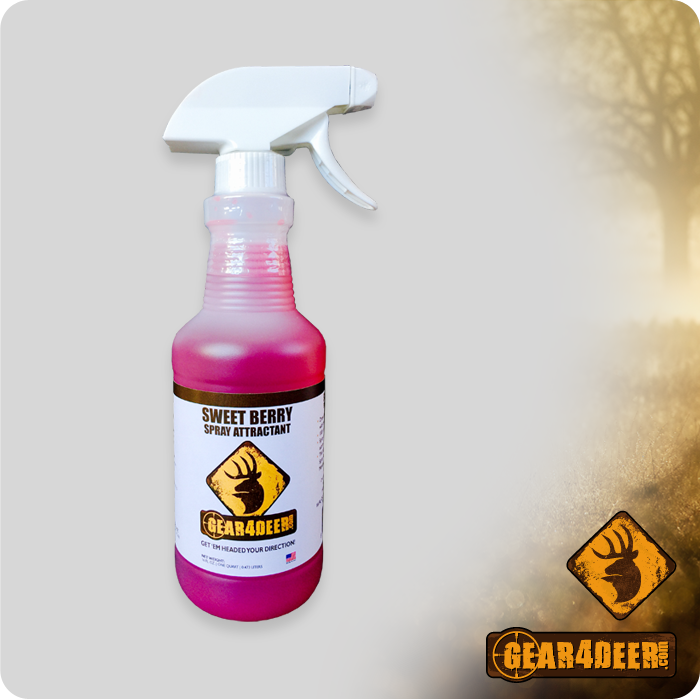 Nothing will draw deer in faster then our SWEET BERRY spray attractant! Its so powerful that we always use it when manufacturing DEER CHUM, BUCK SALT and DEER TREATS! No protein, No salt. (For states that don’t allow baiting Sweet Berry Spray can be used on native vegetation and mass like acorns to attract deer). Can be used as a cover scent after the deer in your area get used to the smell on a food source. (It’s not our fault if they walk up and lick ya though! ).